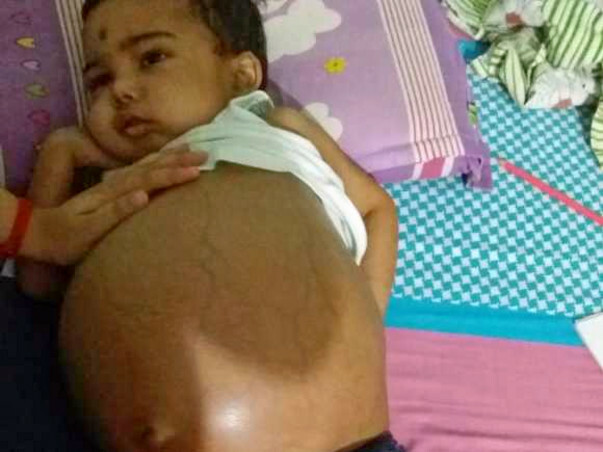 3 year old Prabal Dey, once a very jovial , energetic and playful child, has been in and out of hospitals since February, 2018 with recurrent complaints of extreme bloating in stomach and swelling in face and limbs. 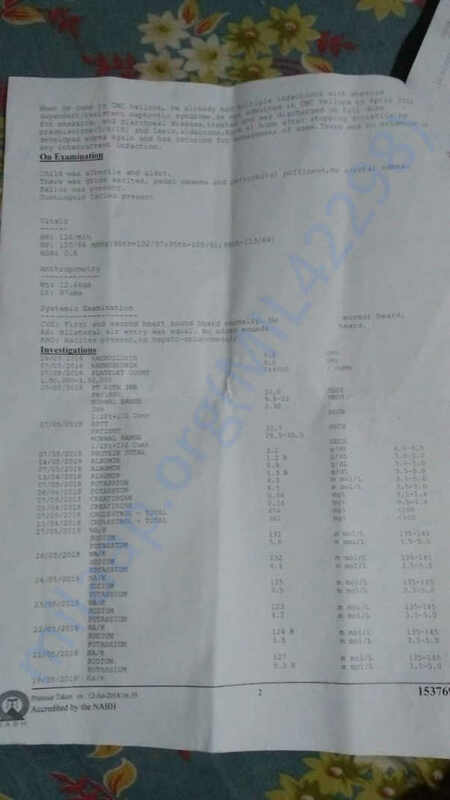 He was treated with steroids (which is the standard course of treatment for such disease) at various hospitals in Kolkata and Jamshedpur before ultimately being referred to CMC Vellore. He was admitted and treated there for about 3months. 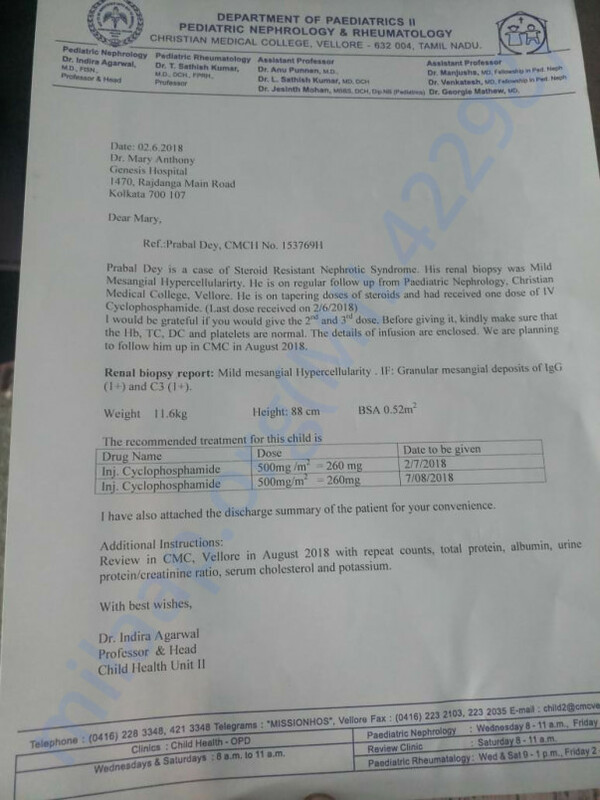 After numerous tests and no signs of recovery ,CMC Vellore conducted a renal biopsy on him and confirmed his disease to be steroid resistant Nephrotic Syndrome with Mesangial Hypercellularity. Despite changing his course of treatment from steroids to immune suppressants, his extreme state of oedema still continues. 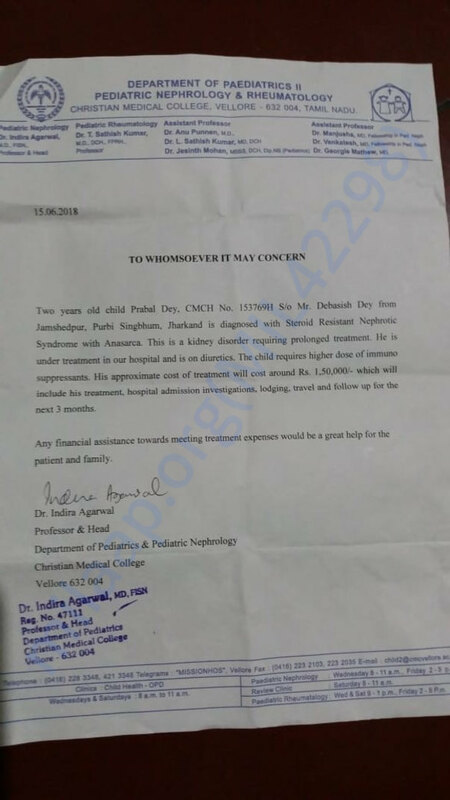 We had therefore no option but to get the child discharged from CMC Vellore and are now planning to rush to St.John’s Hospital, Bangalore where there is reportedly a research wing dedicated to this form of the disease for further treatment. 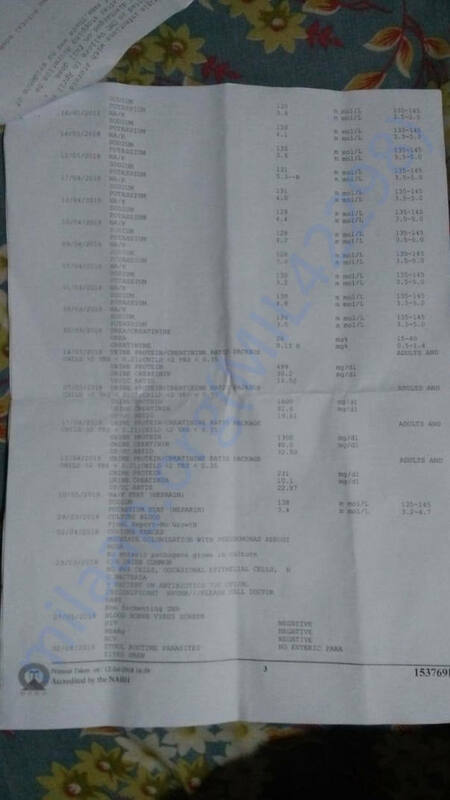 His father, Debashish Dey is employed in a private firm at Jamshedpur and his present annual income is Rs.70,000. 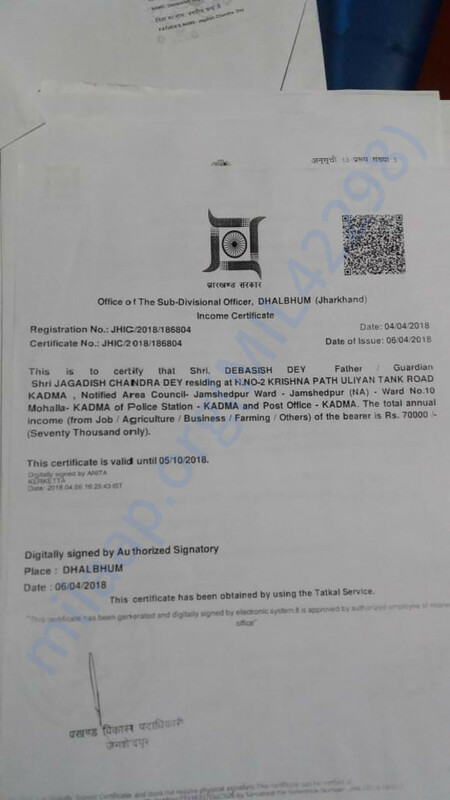 Borrowing from private and corporate money lenders, seeking financial help from family & friends, he has already spent more than Rs.4,00,000 over the past few months for his son’s treatment. Such funds have since dried up and he has also exhausted his capacity to raise further private borrowings for planned treatment of his son. 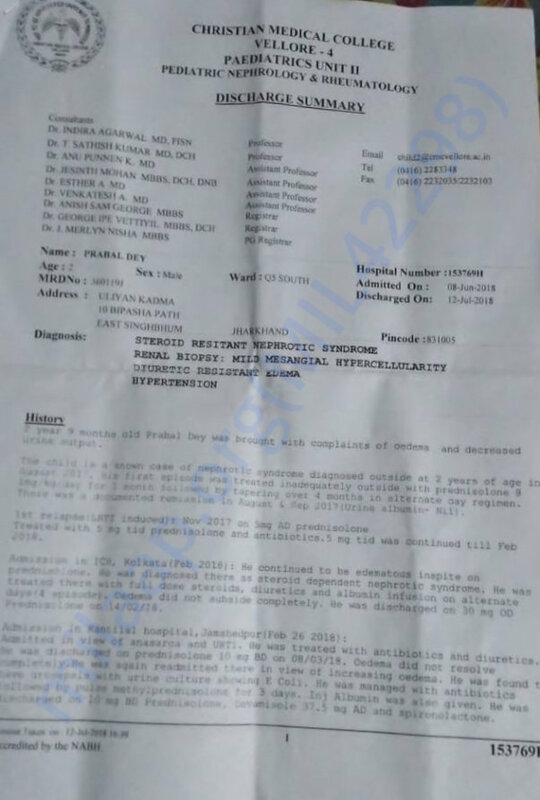 Under the circumstances, I seek your kind help in saving the life of this child, so that he is not compelled to stop his son’s treatment midway. The present state of the child is precarious to such an extent that the child is unable to stand on his feet, leave alone playing and running around. He has also discontinued his play school. The kid remains restricted to bed most time of the day. Over the past few months he has also developed resistance to diuretics which has caused his urine output to go down. If this condition continues unabated, other major organs of his body can develop serious complications. Our timely intervention may go a long way in saving the child’s life.